Pacific Shores B102- 3 bedroom with AC - Gorgeous Remodel! Mahana 602 New Listing from $165/night! - Direct Oceanfront Studio! Puamana 24-3 Escape to Paradise! Lokelani A203 Oceanfront 2 bed 2 bath with AC Throughout - No Resort Fees! Kaleialoha 402 Whales are here! Ocean Front Resort. Location,Location! Puamana 52-3, Beautiful Maui Town Home! Steps To Beach And Pools! Kahana Sunset E5 Beautiful Ocean Views & Secluded Beach! Location, Location! Kahana Reef 111 - 1 bedroom Romantic Ocean Front Vacation! Napili Shores Unit E240: Fantastic Remodel! Just A Short WalkTo Napili Bay!! Keawakapu 208 Ocean View Two-Bedroom One Block From The Beach! New Listing! Kulakane 306- LAST MINUTE OPENINGS! Budget Rental with Amazing Views! Kaleialoha 211 Beautiful Blue Direct Ocean View!! Hale Ono Loa 416 Breathtaking Views,!! Ocean Front, Whales and Sea Turtles!! Grand Champion 124 - 3b/2b Resort Condo - A Perfect Family Getaway! Napili Point B5 Oceanfront - Unbeatable Views! Book Now Last Minute Specials! Napili Shores D230: Air Conditioned Studio Just Steps To Napili Bay!! Mahana 501 2bed/2bath, Direct Oceanfront, New Listing Gem on the Westside! Puamana 15-3 Great Spring Rates At Cute Maui Town Home! Great Family Retreat! Puamana 35-2 Perfect Family Getaway! Summer Vacancies! Kahana Reef 303 May-Sept./Oct. Construction Special $129 - Ocean Front Views! Maui Banyan Q204 2 bed/2 bath See it with 3D Walk through! By Kamaole Beach! Papakea B405; New Rental as of May 1st. Recently Remodeled 3br 3ba! Napili Point A8 Oceanfront 1-bedroom Book Now for Super Summer Specials!!! Kapalua Golf Villa KGV MAGNIFICENT Ocean View at an INCREDIBLE price! 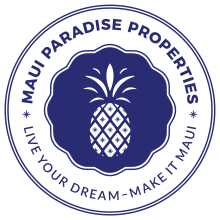 Kaanapali Alii - Beautiful Ocean Views and Sunsets from this Luxury Condo! Kaanapali Shores #936 Studio Beautifully-upgraded, Ocean-View Penthouse ! Hololani A701: New Unit! Stunning Oceanfront Views!